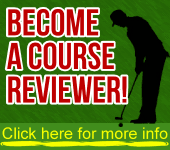 Looking to lower your score and improve your technique in golf? There are a few things that to know before learning how to better yourself in golf. Don’t sign up at any school; the quality of teaching and skills you will master can vary widely. First decide what you most need to work on. Do you have an easy time teeing off but can’t get your putting down right? Are you looking for improvement with one particular shot or a wide range of skills? Research what the school’s strengths are and if they are geared to beginners, advanced or somewhere in between. Picking a school over or under your level of play is sure to guarantee a waste of money and time. Find out also what kind of courses the school operates with. If they have a small 9 or 18-hole course, you may not get the most out of the school in terms of learning various terrains and challenges. If a school has a 36 or even 72-hole course, you will be out gaining considerable time on the course, and the chance to improve your game more than shooting the same holes repeatedly. Class size should also be something you consider when choosing a school. Are you comfortable with a larger class where you may not get as much personal attention? The more one-on-one attention you receive, the more likely your skills will improve in a smaller period of time. However, if you are on a budget and looking to still be in a learning environment, a larger class may still provide enough attention for your liking. Take a look, if possible, at who teaches the courses; if there are multiple teachers, or one single one, and what their experience has been. The teacher may be a former pro, but if he or she is new to teaching, it may be less to your advantage. Having knowledge of a sport is different than teaching the sport. How the school evaluates your play is something that should be looked at, too. If they simply take you out on the course and give you verbal feedback, it may not be as helpful as a school that videotapes your performance and shows you the playback to help improve technique. The bigger and fancier the school does not necessarily mean it is right for you. You should decide what you really want to accomplish, whether it is skills, certain shots or simply experience out on the course, and the right school will be all the more easier to find.